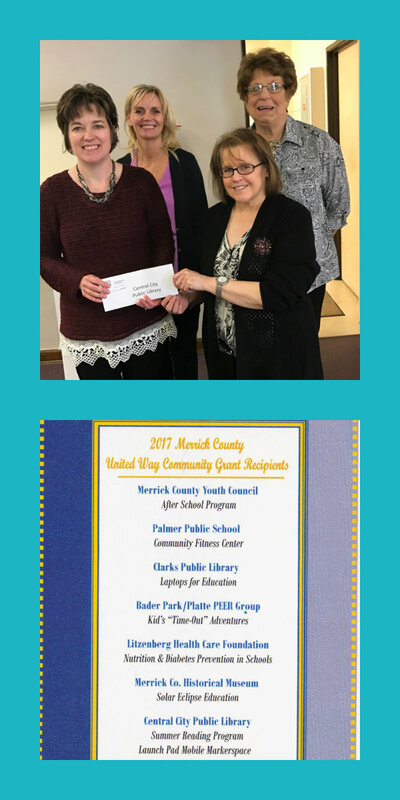 CC Public Library Awarded With Two of the 2017 Merrick County United Way Community Grants! The first grant is for our Launch Pad Mobile Makerspace! We’ll be creating a mobile space within the library, where people can gather to create, invent, and learn! The makerspace will include fun activities that will focus on: STEAM (science, technology, engineering, art, and math). The second grant is for an Edgerton Explorit Center Science Program ~ “Bubbles” for kids during 2017 Summer Reading. It will also be used to purchase jump ropes and hula hoops for fun fitnesss/health-related events. We’re excited about the projects and can’t wait to share them with you! 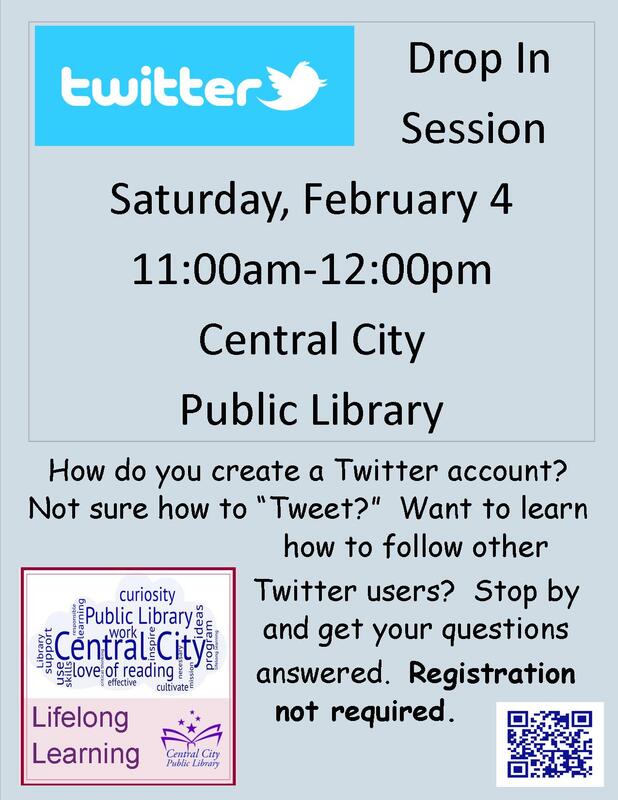 Twitter Drop In Session Coming Up at CC Public Library on Saturday, February 4! Facebook Drop In Session Offered at CC Public Library on September 24! Download “American Sniper” Through March 31 On OverDrive! Learn Irish for St. Patrick’s Day! You Can Now Learn Cherokee Through Central City Public Library & Mango Languages! 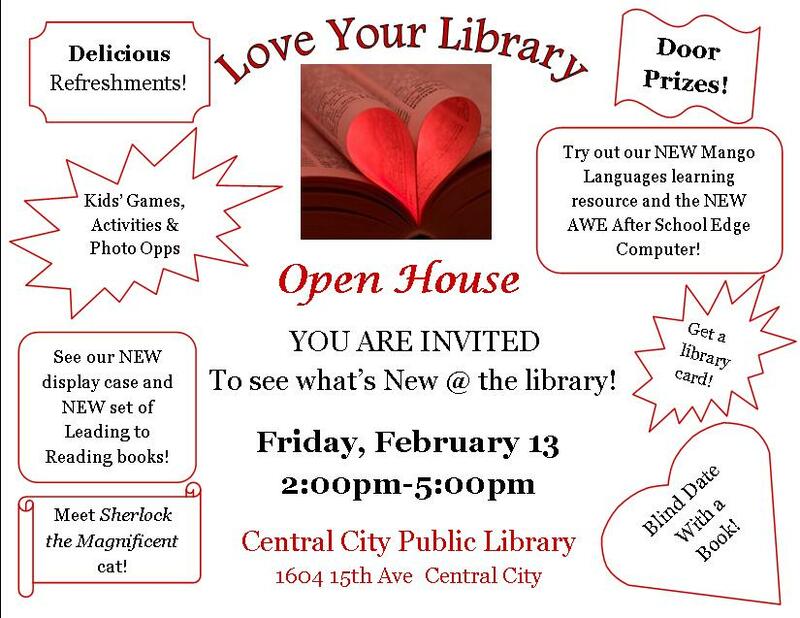 Don’t miss our LOVE YOUR LIBRARY Open House on Friday, February 13 @ 2pm-5pm! YOU ARE INVITED to our OPEN HOUSE, to see what’s New @ the library! Friday, February 13 (2:00pm-5:00pm)! Don’t miss out! Mango Languages Added to Library! 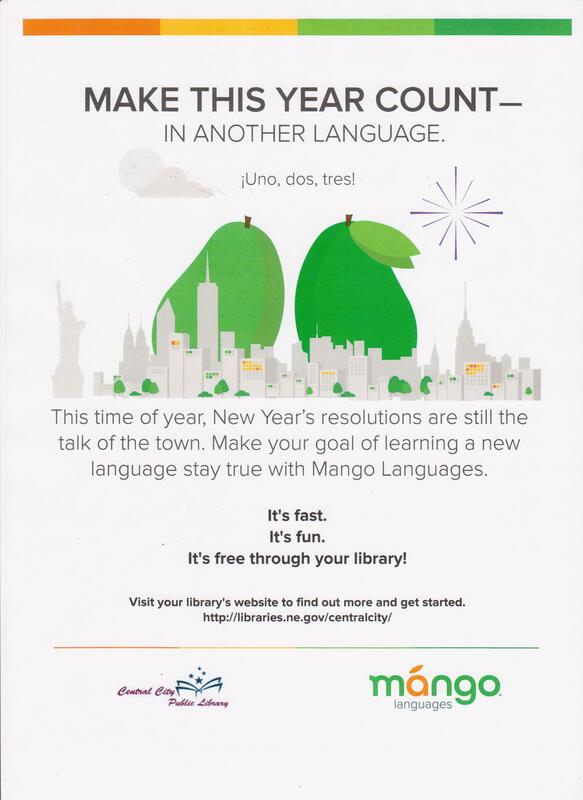 The library is pleased to announce that it now offers the Mango Languages online language-learning system to its patrons. The Northeast Library System recently awarded the library a grant of $750. The grant funds were used towards the Mango Languages annual subscription fee. Register now for a “Facebook & Pinterest” class! The class will be held Thursday, Febr. 13 @ 4:00 p.m. The first half of the class will go over how to set-up and use a Facebook acct. (including how to upload photos). The second half of the class will involve how to set-up and use a Pinterest acct. (including creating boards, pinning items, & uploading photos). Both parts of the class require that participants have a working email address. Space size is limited. No cost. Instructor: Dorlissa Beyer. Made possible through a Laura Bush 21st Century Librarian grant from the Institute of Museum and Library Services to the Nebraska Library Commission. — at Central City Public Library.